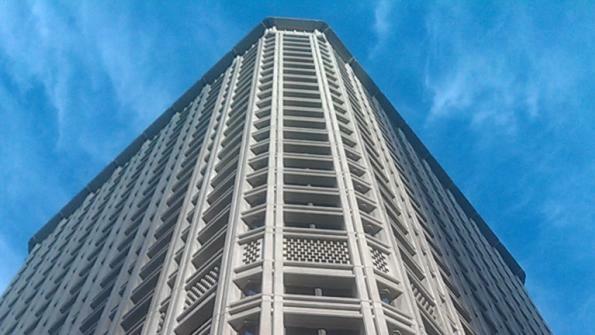 When the Henry M. Jackson Federal Building (JFB) was unveiled in 1974, it was considered a modern marvel, even receiving a coveted Honor Award from the American Institute of Architects. By 2009, energy-efficiency standards had changed, and the U.S. General Services Administration (GSA), the building owner, launched an energy makeover. Lighting was specifically identified as a source of both high energy use and occupant discomfort. Fluorescent lighting was too bright, and uncontrolled natural light produced glare and heat gain. Contractor Howard S. Wright asked Lutron Electronics to provide a solution. Using a variety of lighting control strategies, overall lighting energy use has been reduced by 45 percent to date. • Centralized light control: Quantum Total Light Management and Green Glance tracking software helped to save $289,000 in lighting electricity costs in 2013. The system integrates with other building-management systems via BACNET IP, allowing for better optimization of building systems and greater energy savings. • Dimming and daylighting: EcoSystem digitally addressable dimming ballasts work with EcoSystem daylight sensors on all perimeter facades, automatically dimming lights in response to available daylight. • Light level tuning: Maximum light levels are currently set to 65 percent of full power, which saves energy while maintaining recommended light levels. • Occupancy sensing: Dual-technology occupancy/vacancy sensors turn lights on and off, depending on occupancy status. 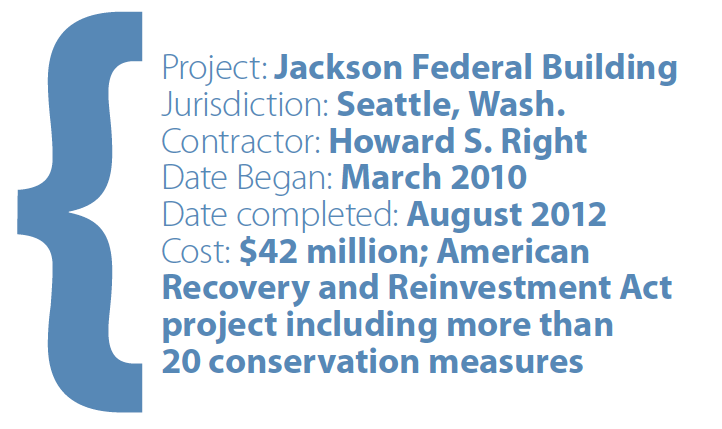 The JFB project, which also included new windows and a renovated HVAC system, was identified as an energy reduction project under the 2009 American Recovery and Reinvestment Act (ARRA). Prime contractors’ fees were tied to meeting specific measurement and verification metrics on energy-reduction goals. The lighting control system, which is fully compliant with the Buy American Act stipulated for use of ARRA funds, was selected based on its high potential ROI and multiple, flexible features. The GSA also specified that all work with implications for employee comfort and productivity be completed after normal working hours and on weekends. “Renovations exceeded our goals. We were able to execute the energy overhaul without disturbing or displacing any tenants,” says Christopher Helmer, GSA project manager. Lighting control makes a measurable contribution to the overall goal of 30 percent building energy savings. The project has met requirements for LEED Silver certification, and its ENERGY STAR rating will be increased from 83 to 97.